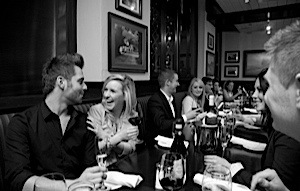 Quinn’s Steakhouse is unmatched in its commitment to presenting the most delectable and individually customized corporate and social special-event menus in the city. With our exceptional cuisine, uncompromising in its approach to freshness, creative flair and above all, passion for your palate, we will meet every challenge and culinary desire you put before us. For, without question, what sets us apart from the competition is our unparalleled ability and passion to create customized menus designed specifically for your event. Our internationally acclaimed Executive Chef, Paul Pisa, and his culinary team have developed one of the most singular yet adaptable collections of menu choices, designed to tantalize your taste buds in the most pleasurable ways imaginable. 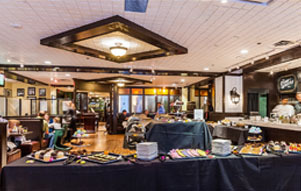 With more than 3,500 square feet of space – including cocktail reception area and two private dining rooms - Quinn’s has the ideal setting for your next special event. From intimate sit-down dinners and breakfast board meetings to company meetings and cocktail parties, we can cater to whatever your event requires. Please refer to our Floor Plans & Capacity Charts to create the perfect dimensions for your upcoming Special Event. And please contact an Event Coordinator at 416.367.8466, reservations@quinnssteakhouse.com, or submit a Request For Proposal for more details.